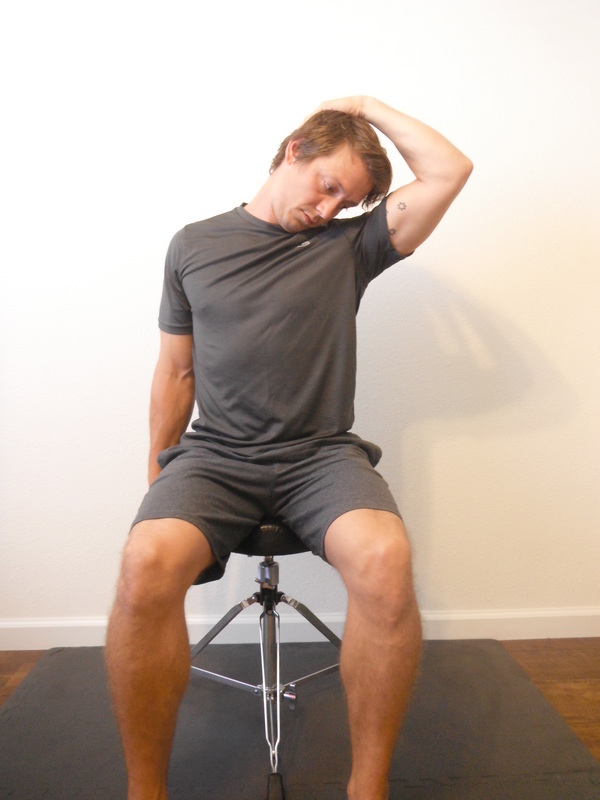 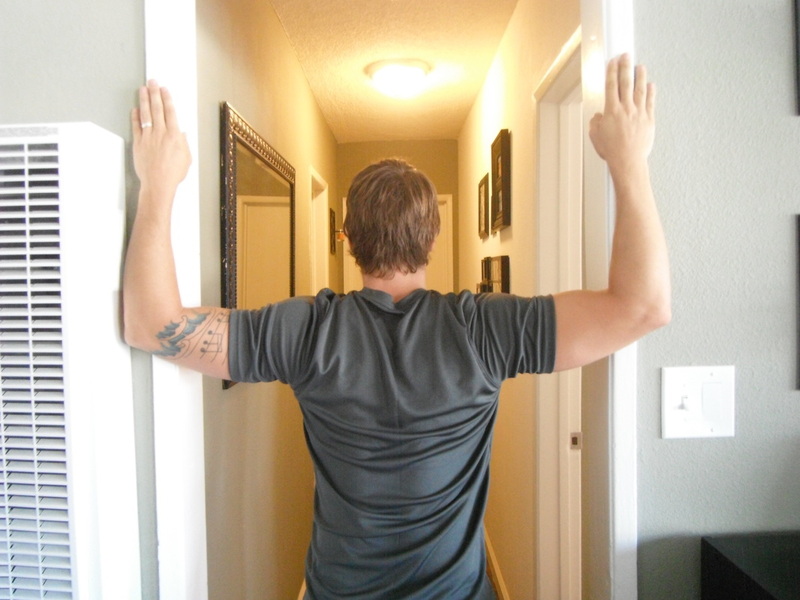 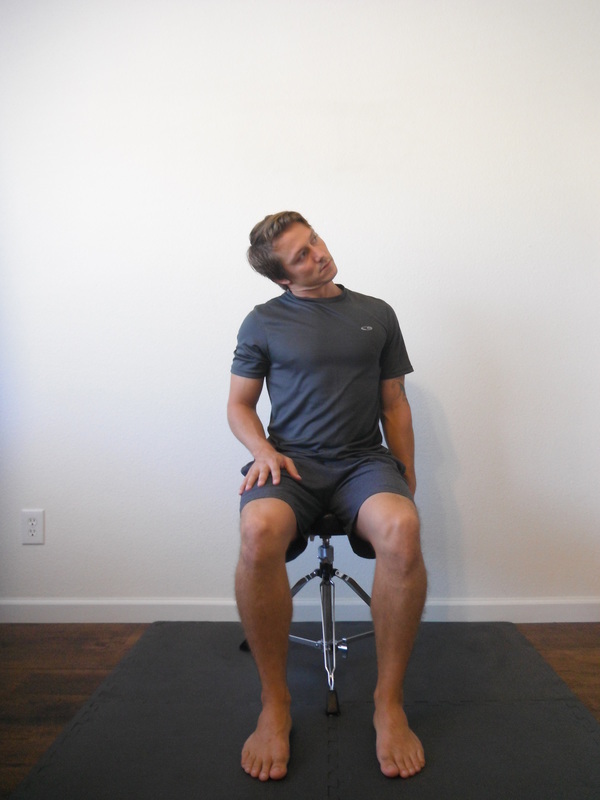 Reach to top of head with one arm while opposite arm grasps chair, stabilizing shoulder. 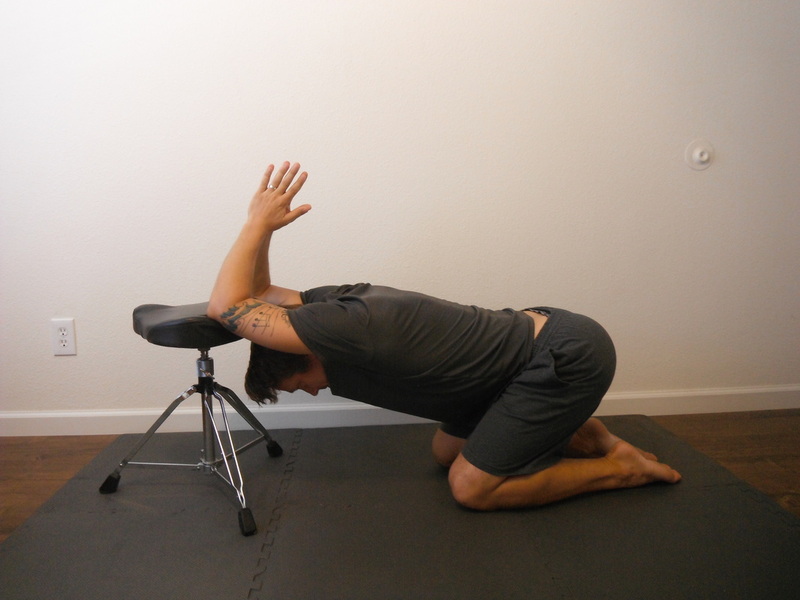 Gently pull head away from depressed shoulder. 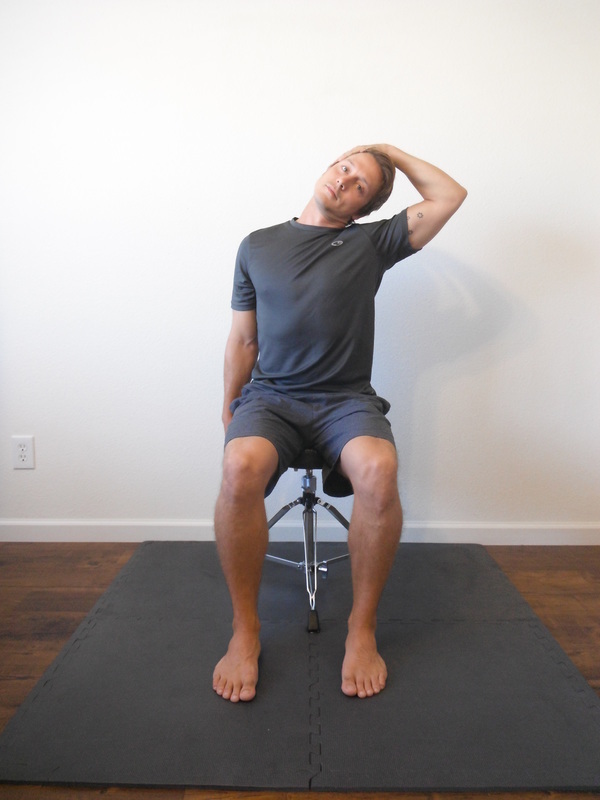 ​Begin kneeling on the floor, place upper arms on table/chair with elbow bent to 90 degrees. 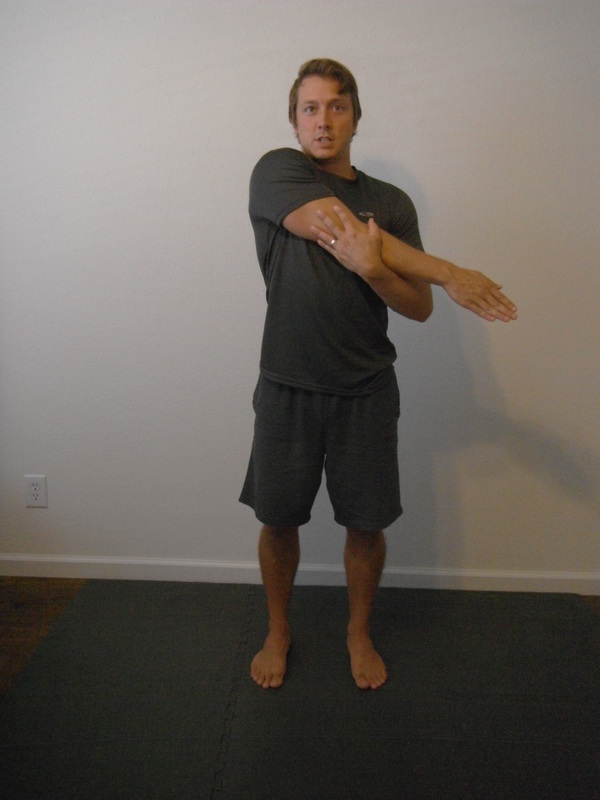 Forearms should be close together with palms together. 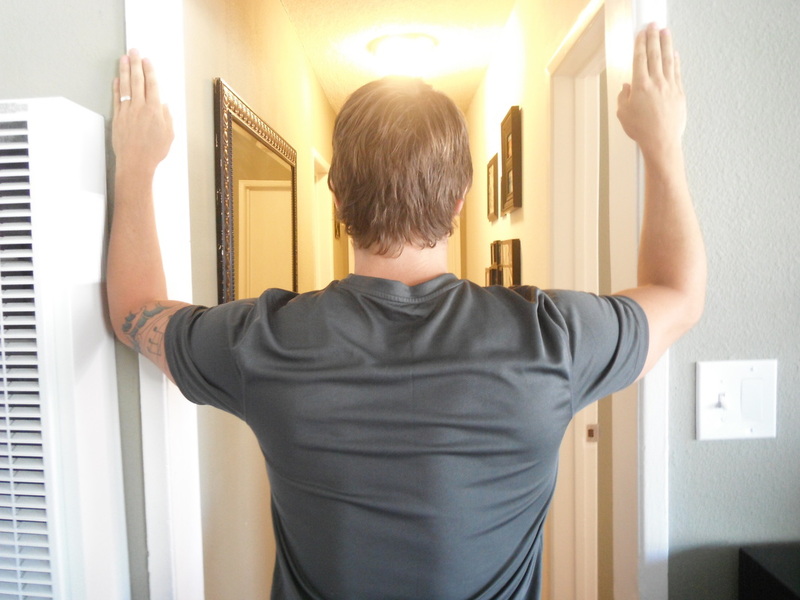 Begin standing. 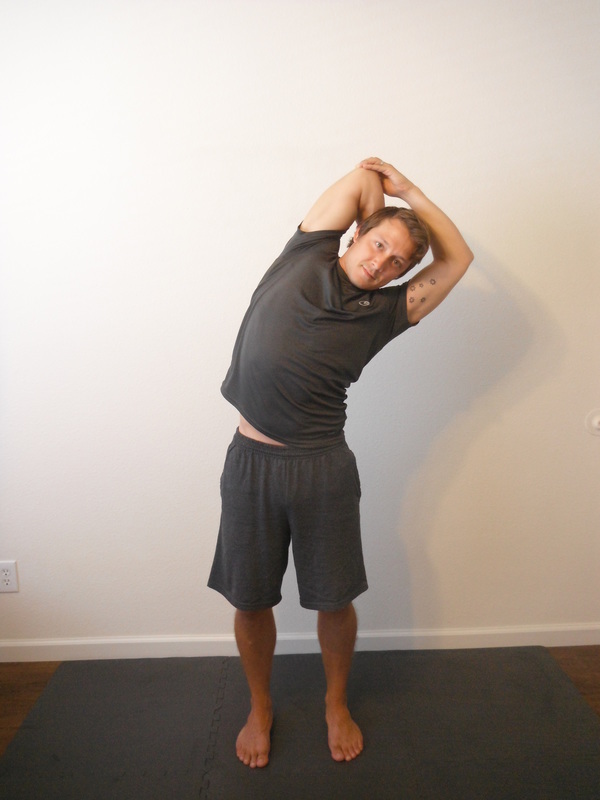 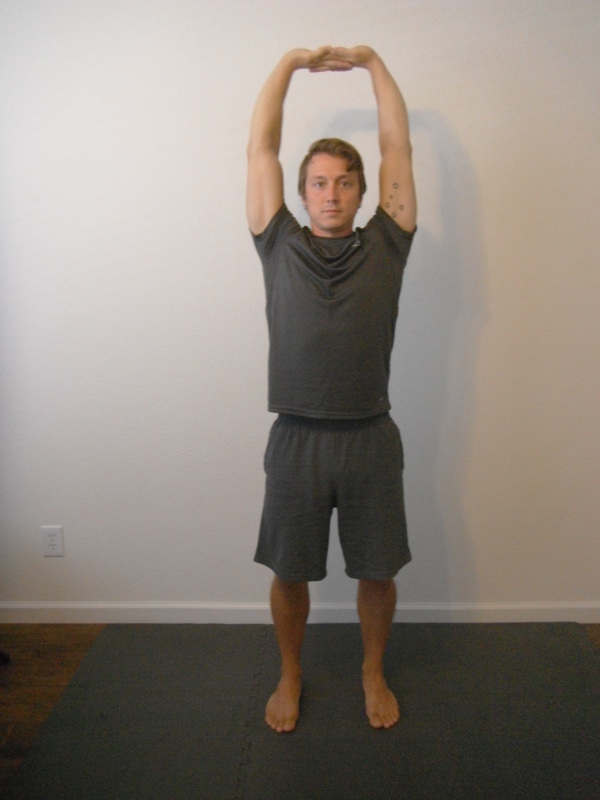 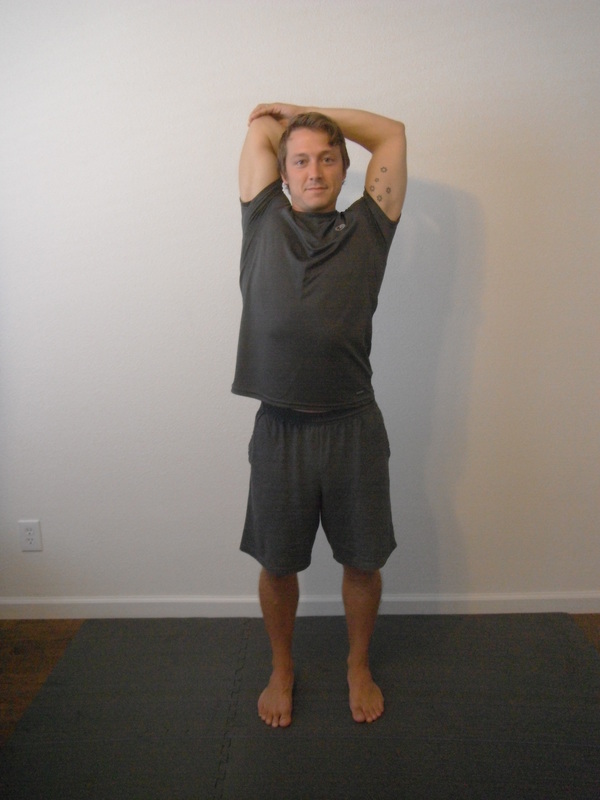 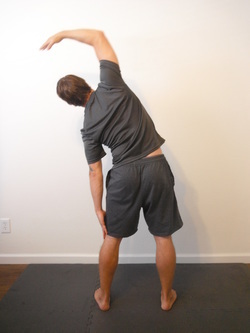 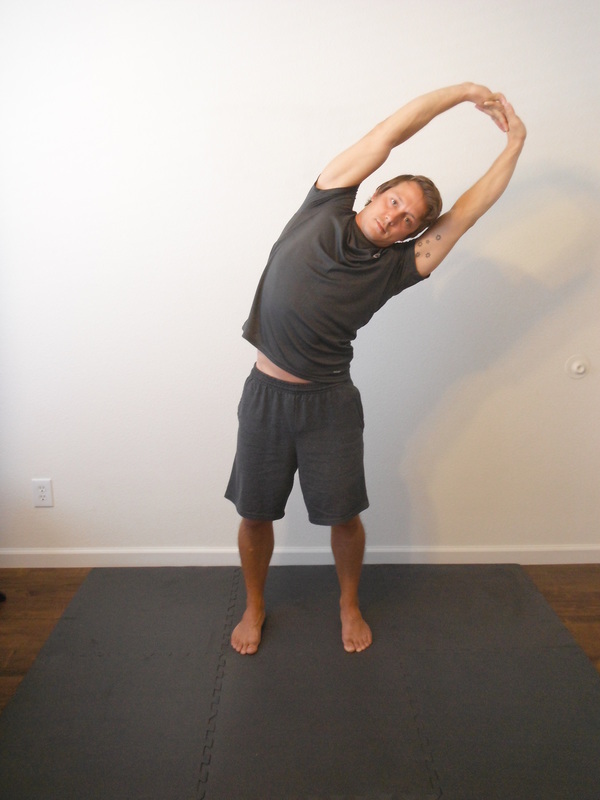 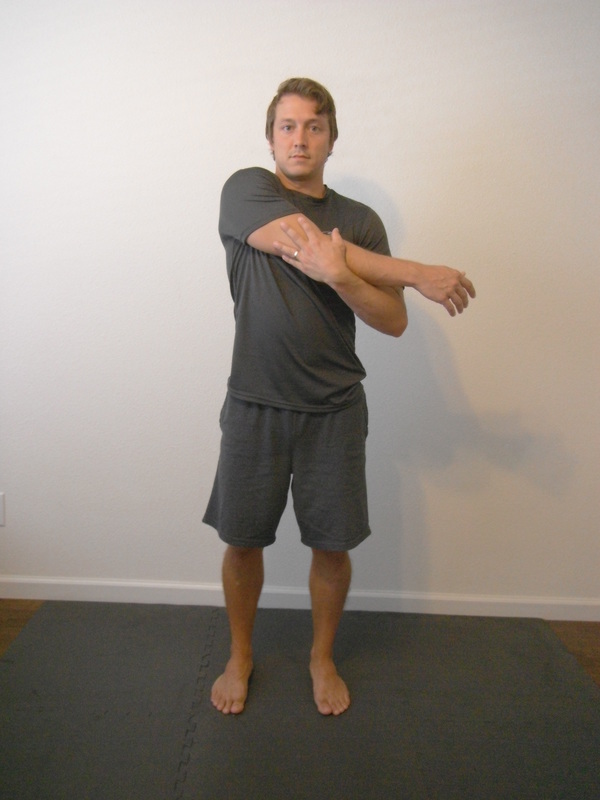 Reach above head, bending one elbow while grasping it with the opposite hand.